We’ve been nominated for 11 Olivier Awards! We are absolutely delighted to have been nominated for a staggering 11 Olivier Awards, the highest number of nominations for a single venue. 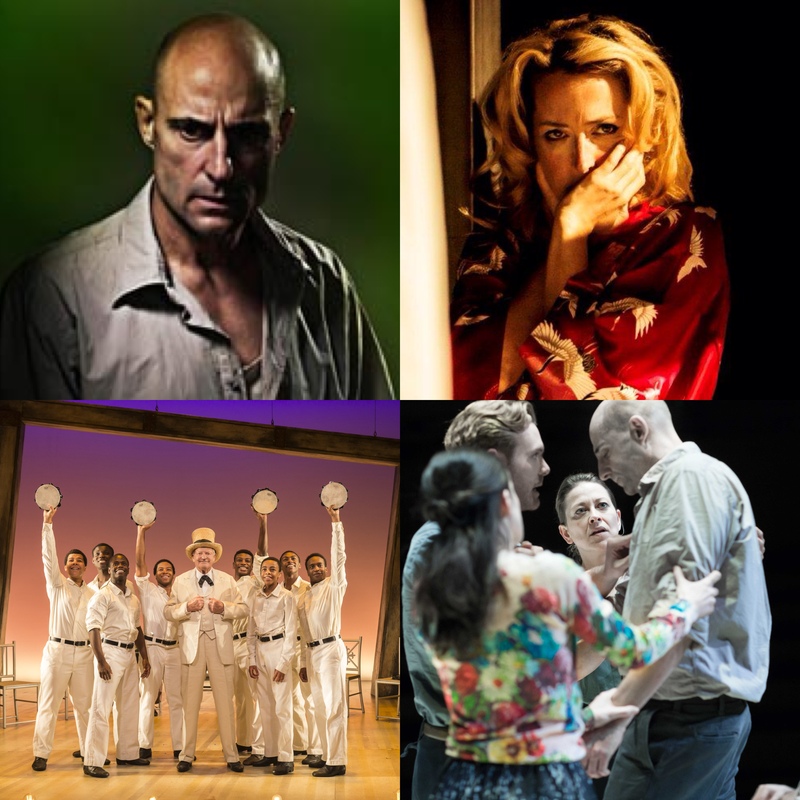 A View from the Bridge, A Streetcar Named Desire, The Scottsboro Boys and Bull have all been recognised in this year’s nominations – congrats to all involved! Read below for the full list. We’re keeping our fingers crossed for the ceremony on Sunday 12 April when the winners will be announced! 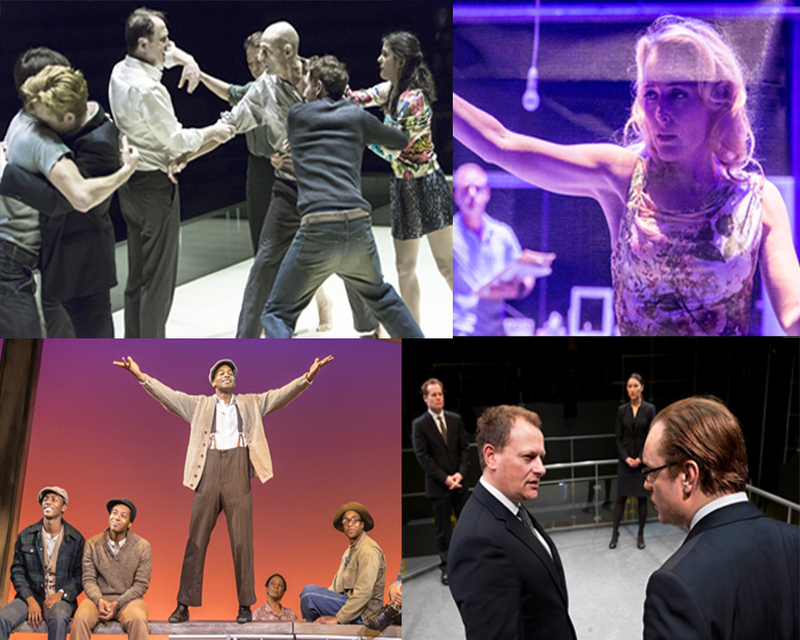 The Evening Standard Awards shortlist was announced today and we’re delighted to have been nominated for 4 categories! Congratulations to all the nominees; read the full shortlist here. Tickets are available for A View from the Bridge and The Scottsboro Boys in the West End; book online at youngvic.org. 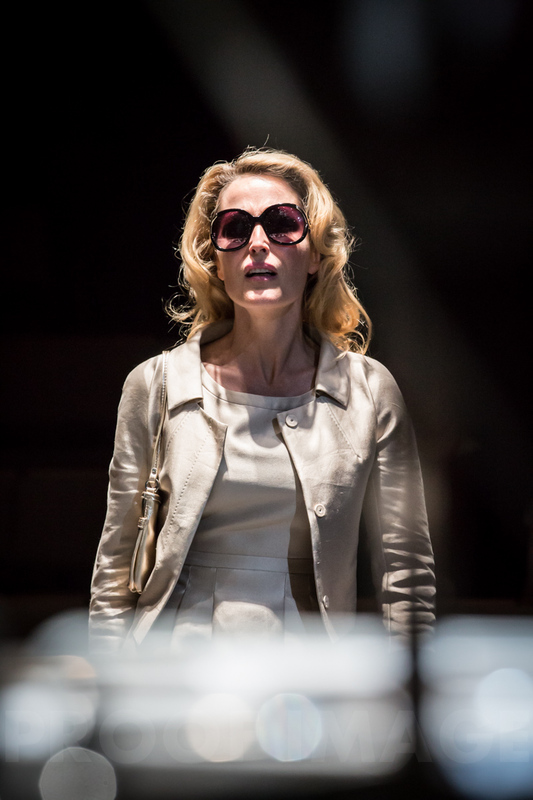 Today we are pleased to premiere the latest Young Vic short, MAYDAY, starring Juliet Stevenson, and announce Gillian Anderson’s upcoming short film The Departure, written by Andrew O’Hagan, directed by and starring Gillian Anderson. MAYDAY was inspired by Natalie Abrahami’s production of Samuel Beckett’s Happy Days at the Young Vic, which will return to the Main House stage from 13 February 2015. The short film stars Juliet Stevenson with appearances from David Beames and Tanya Moodie and glimpses the life of one resilient woman, fighting to “keep up the glamour” as she descends into ever increasing isolation. Both Stevenson and Beames will return to the Young Vic in next year’s Happy Days revival. Want more? Watch the making of documentary featuring exclusive footage and interviews with Juliet Stevenson and Natalie Abrahami. The Departure also features Bruce Alexander, Suzanne Bertish and Rollo Skinner and will be available on the Guardian and Young Vic websites in the near future. Take a look at the stunning behind the scenes images from the film shoot here. Young Vic Shorts are a series of short films inspired by Young Vic productions. They offer artists working with the theatre a unique creative opportunity to reach a large international audience online. The most recent Young Vic short was Columbite Tantalite, written and directed by Chiwetel Ejiofor and inspired by Aimé Césaire’s masterpiece A Season in the Congo. Can you describe your character in A Streetcar Named Desire? Going over lines in monologues, specifically. My kids and art in all its forms. 1910 – to witness all the revolutions and still be young enough to be a cool cat in the 1960s. Creep by Radiohead / The Rolling Stones You Can’t Always Get What You Want. If you could have a supernatural power which would you choose? Teleportation – to go backwards anywhere in time. 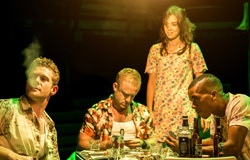 A Streetcar Named Desire is on at the Young Vic until 19 September and tickets are now sold out, but you can still see the show by trying your luck and coming along to the day seat lottery, click here for more info. Press ups and a shower. Cereal – granola or similar – and full fat milk. My wife and children’s health and happiness. If the days were 28 hours long, what would you do with the extra 4 hours? For a limited time, peace and quiet. Cheap as chips package to Zante in 2005 with my wife (who was my girlfriend at the time). Wouldn’t It Be Good by Nik Kershaw. A Streetcar Named Desire will also be broadcast live around the world by NT Live on 16 September. To find your nearest cinema and book tickets, visit ntlive.com.